I spent my share of the day laboring yesterday in the garage painting, painting and more painting. You see I have a problem. A really great problem, but I problem none the less. 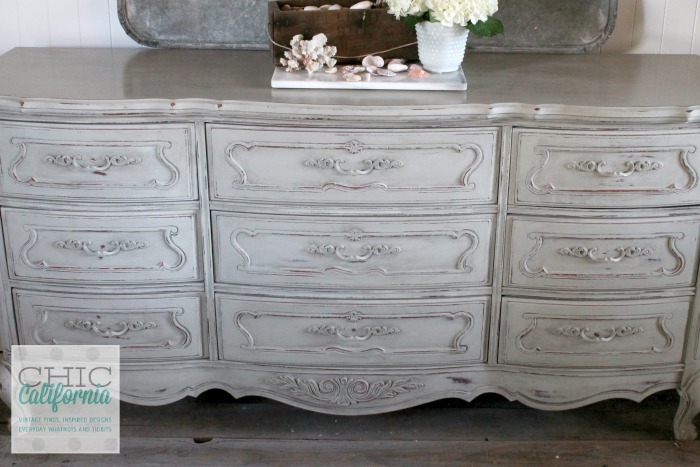 I sold nearly every piece of furniture I had for sale in my boutique space this weekend! I am wiped out! So I thought I would show you a few the pieces that sold this week. Then I had better get back to painting! 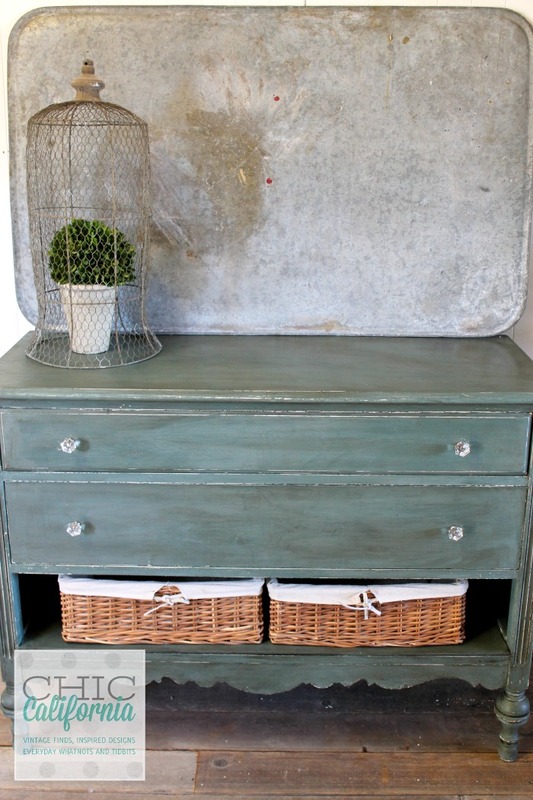 I loved how this dresser turned out. I painted it in Sweet Pickins Ocean with Extra Bond. Then I used Jacobean dark wax on it to richen it up. I rarely use dark wax all over a piece of furniture. I feel like it should be reserved for antiquing the details. But that’s just me. So this was a rare occurrence that I found myself spreading the dark wax all over. But I love how it turned out. This beauty didn’t last in the shop long. 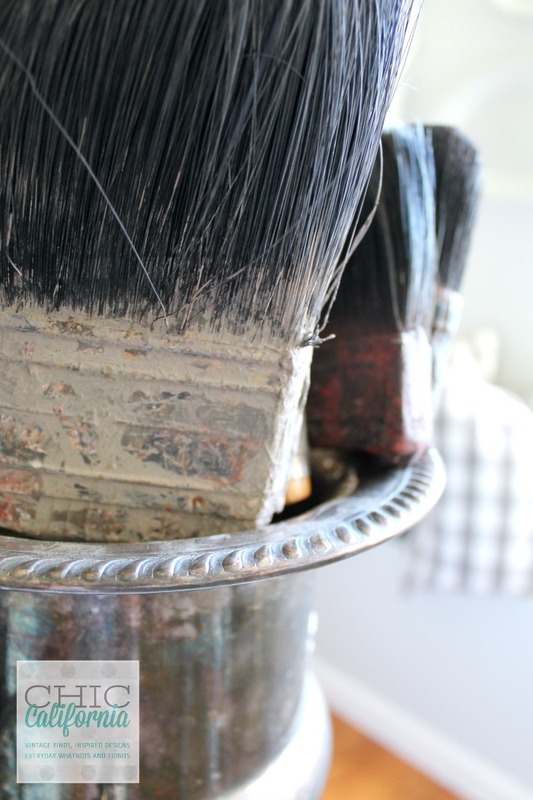 I used some leftover Annie Sloan paint. You can’t let that stuff go waste, yo! (I have been watching too much Breaking Bad on Netflix and I’m starting to talk like Jessie!) I made a custom mix of Coco, French Linen and a little Antique White. I gave it a little clear wax and then hit the details with Aging Dust. Love this stuff, it gives such an authentic aged look. It has a huge mirror to go with it that I also painted. 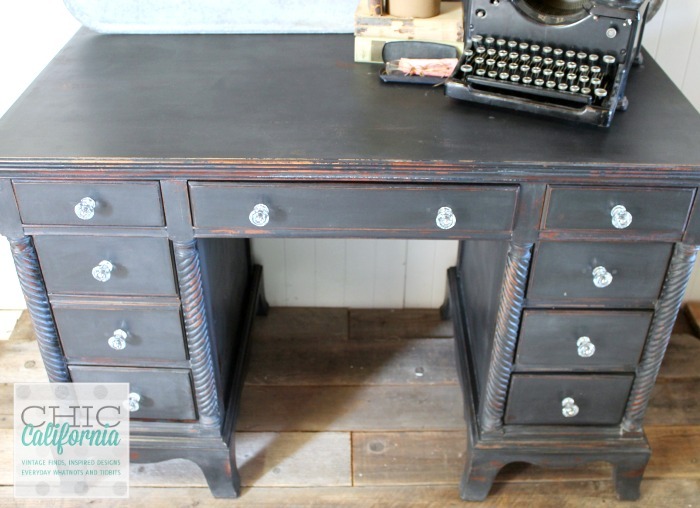 Surprisingly this desk painted in Lantern has been in the shop for a few weeks. I should have known it would take awhile to sell. Anytime I think a piece will sit for awhile, it flys out the door. If I think it will sell fast, it sits. Go figure! Remember this beauty from my Global Takeover post? It’s destined to become a vanity in a bathroom. A friend from the store bought it and I can’t wait to see it transformed for a bathroom. Hopefully, I can get some pics for you when it is done. 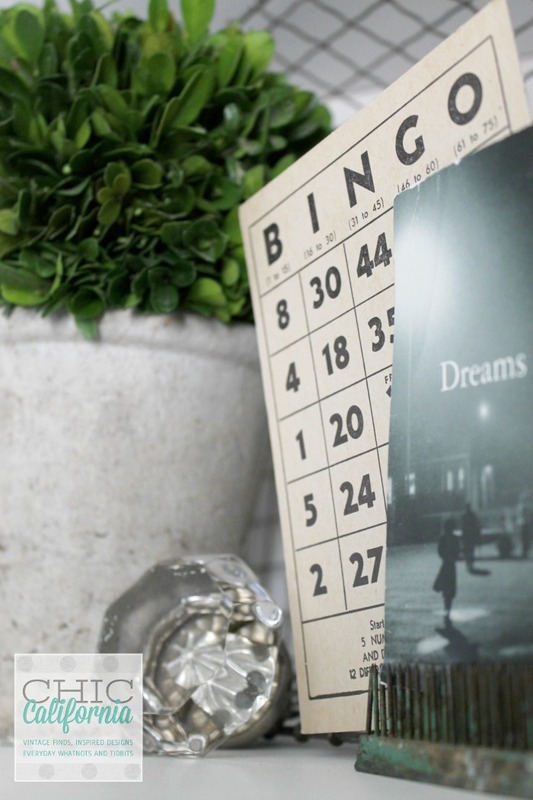 It’s painted in Sweet Pickins Milk Paint in Creamy. Oh, I also finished up my office/craft room makeover this weekend. Taking pics tomorrow to reveal on Friday. I can’t wait to show you. Here’s a sneak preview. 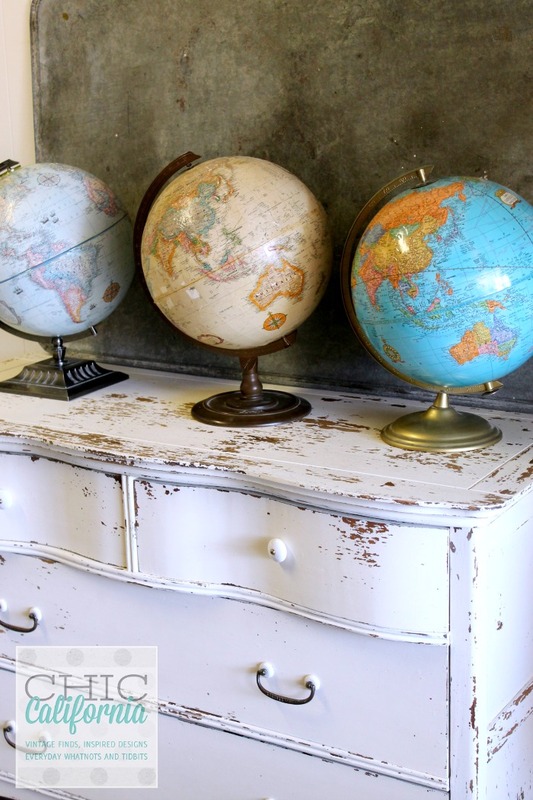 And I totally just bought the same globe from a garage sale:) my $2 find!!! Can’t wait to see what you transform next! Love everything! So happy for you that you sold everything! I really need a place to sell what I paint other than one open house in the fall because painted furniture is starting to take over my house! 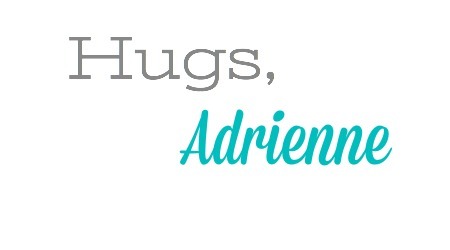 Adrienne… Which boutique do you have a booth at? Would love to go! Thanks! I look forward to the visit! I have that same problem with my pieces. When I think they will go fast, they sit! Go figure!